Samsung, the world’s biggest handset maker, has replaced the head of its mobile design team amid criticism of the latest Galaxy S smartphone. Chang Dong-hoon offered to resign last week and will be replaced by Lee Min-hyouk, vice president for mobile design, a Samsung spokeswoman said on Thursday. Samsung declined to comment on the reasons for the reshuffle. Lee, 42, became Samsung’s youngest senior executive in 2010 for his role in designing the Galaxy series, a roaring success which unseated Apple’s iPhone as king of the global smartphone market. Samsung now sells two times more smartphones than Apple, largely thanks to the success of Galaxy range. But the South Korean firm has also been battling patent litigation the world over, with Apple claiming Samsung copied the look and feel of the US firm’s mobile products. The Galaxy S5, which debuted globally last month, has received a lukewarm response from consumers due to its lack of eye-popping hardware innovations, while its plastic case design has been panned by some critics for looking cheap and made out of a conveyor belt. The Wall Street Journal said the gold-coloured back cover on the S5 looked like a band-aid. Chang, a former professor who studied at the School of the Art Institute of Chicago, will continue to lead Samsung’s design centre which overseas its overall design strategy. 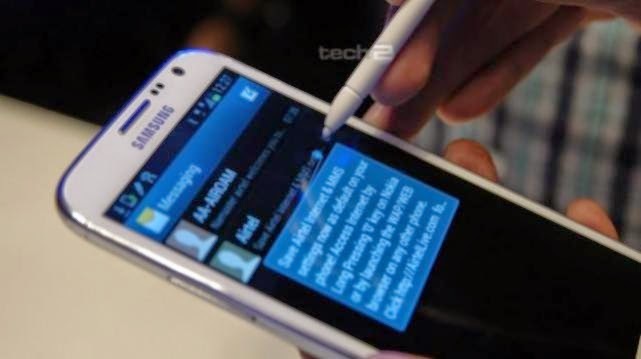 He is known to have pushed Samsung towards its current design direction, leading the creation of the Galaxy Note 2 and the Galaxy S3, which is the base on which the S4 and S5 have been built. Lee, who acquired the moniker of “Midas” for his golden touch with the Galaxy series, started out designing cars for Samsung’s failed auto joint venture with Renault in the 1990s.